Join poet and playwright Lemn Sissay for an evening of passion and poetry. 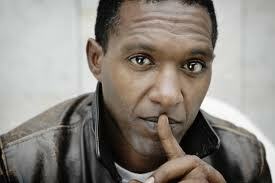 Lemn Sissay, MBE, is associate artist at the Southbank Centre, Europe’s largest arts complex. He was the first poet commissioned to write for the 2012 Olympics and his poem Spark Catchers is etched into a transformer on the Olympic site. In 2008 he travelled to the Arctic with Jarvis Cocker, Laurie Anderson, Martha Wainwright and KT Tunstall to inspire them to respond to climate change within their work. His play Something Dark is winner of a RIMA award and has been performed around the world.